My Men's Mastery Series has not only been my most popular product, but it is also one of my favorite products. I want everyone to have that "Bootcamp experience" that hundreds of guys from countries all over the world has experienced, but I know everyone cannot take the time or afford to come to one of my Bootcamps. So I created this product to, in essence, be a "Bootcamp in a box." It is the ultimate top-to-bottom program, covering everything from how to approach and talk to women to completely transforming your mindset. It is "inner game" as well, covering in detail every skill you need to know how to approach, converse with, connect with and attract the women you truly want to meet. It is the ultimate confidence course for your personal life, your dating life and your business life. Life is all about believing in yourself. 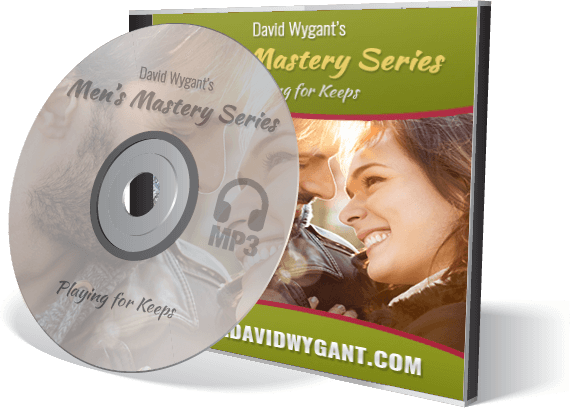 My Men's Mastery Series will show you how to really unlock the most powerful version of yourself. This is a true transformation from the inside out — there is no teaching you how to fake anything. You don't need pickup lines. You don't need to become somebody else. You just need to respect yourself and become the most confident version of the amazing person that you already are. Over the years, I have never stopped adding to and improving this program. Coaching hundreds of guys over the last 17+ years, you always find new and different things you want to share. So what started out originally as an eight hour program has grown to closer to a twenty hour program! This time I decided to do something unlike anything I've seen out there — I am customizing the Program to exactly where you are in your life! That's right — I have broken down my Mastery Series into three different age ranges. Let's face it, the issues that guys in college are dealing with can be very different than guys in their 40's. Goals are different. Questions are different. And since my goal is to give you a truly transformational experience with this product, this was the logical next step! 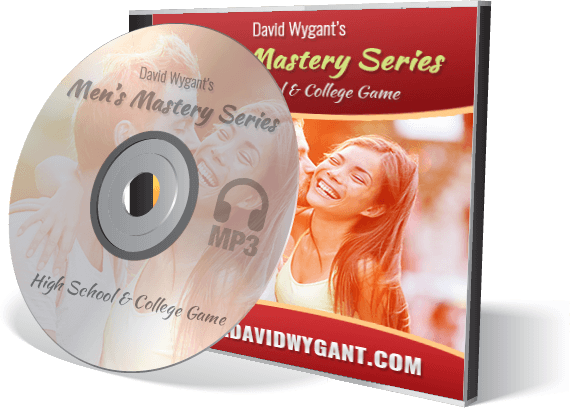 So now, no matter what age you are or what phase of your life you're in, there is a Men's Mastery Series that is exactly right for you. This version is for all you high school and college guys out there. In it, I actually go through everything that I used in high school and college to be successful with women. This is an exceptional and unique time of your life, and I want to show you how to make it one of the most amazing periods of your life with women. I call this Men's Mastery Series for guys age 22-32 "Adult Adolescence" because this time of your life is a really tough age. You have so much going on at the same time — working on your career, some of your friends start getting married while some are still single, some of you want relationships while some are completely not in that place. This is the time of your life that really defines who you are as a man. It's the age where you do so much growing. I remember these years so well — both in my personal and my business life, and I was very excited to create something special to help you navigate these years as the best version of yourself. After age 32, you are in a great but sometimes complicated period of your life. This Program is for the guy who already has his career or maybe doesn't know what he wants anymore. It is for the guy who is divorced and wants to know what it's like to live with a woman. It's for the guy who is finally ready to "settle down" with that one amazing woman. I call this version "Playing For Keeps" because this age group is all about figuring out who you truly are, who you truly want to be, and what you ultimately want your life to look like. No matter what your history is, this Program will help you get exactly where you want to go.